If you have an initial estate plan in place you are ahead of over half of Americans, according to recent surveys. While this is certainly good news, do not make the mistake of assuming that the initial estate plan you create will remain effective throughout your entire lifetime. As your estate and family grow, and your estate planning needs change, you will need to update your initial estate plan. 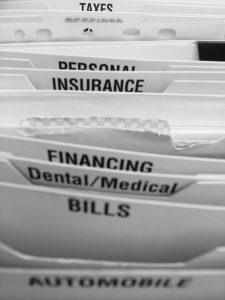 For many people, Medicaid planning is a critical addition to their estate plan. 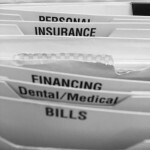 The Affton Medicaid attorneys at Amen, Gantner & Capriano, Your Estate Matters, LLC explain why you shouldn’t wait to get started on your Medicaid plan. Before focusing on why you shouldn’t wait to start on your Medicaid plan, it only makes sense to first discuss why you need Medicaid planning at all. Although not everyone needs to include Medicaid planning in their estate plan, the average American should. 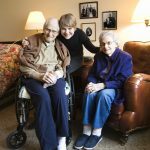 That need stems from the strong likelihood that you (or a spouse) will need long-term care (LTC) at some point in the future coupled with the prohibitive cost of that care. Experts tell us that a 65-year-old entering retirement today already stands a 50-70 percent chance of needing some type of LTC before the end of his/her life. Those odds increase with each passing year and are shared by your spouse if you are married. If you do end up needing LTC care, paying for that care could put your entire retirement nest egg at risk if you failed to plan ahead. Nationwide, the average cost for a year in LTC for 2017 was just over $80,000. Residents of Missouri paid less than the national average for LTC at an average cost of $65,000 a year. What makes the high cost so problematic, however, is the fact that neither Medicare nor most private health insurance policies cover LTC expenses. Fortunately, Medicaid will cover LTC expenses if you qualify for benefits. 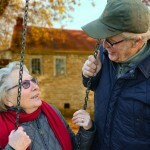 Medicaid’s five-year look-back period – arguably the most important reason to start Medicaid planning long before you reach retirement age is to ensure that you don’t run afoul of Medicaid’s five-year look-back period. The look-back period lets Medicaid review your finances for the five-year period prior to your application. Any asset transfers made for less than fair market value made during that time frame will likely incur a penalty period during which time you will not be eligible for benefits. The length of the penalty period is determined by dividing the value of the asset by the average monthly cost of LTC care in your area. For example, if you gifted assets valued at $100,000 to your adult child and the average cost of LTC in your area is $6,500 per month you would incur a waiting period of 15 months ($100,000/$6,500=15.4 ) before Medicaid would start helping with your LTC expenses. Understanding the state eligibility guidelines – Medicaid is a federal healthcare program that is primarily funded by the federal government; however, it is administered by the individual states. Because the states administer the program, there are some significant differences in both the eligibility guidelines and the benefits available to participants. 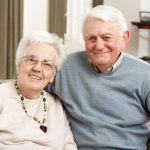 If you are planning to relocate when you retire, you need to understand the eligibility requirements and benefits for Massachusetts and for the state in which you plan to live after you retire. Coordinating with your retirement plan – Medicaid uses very low income and asset limits when determining eligibility. To ensure that your income and/or assets do not exceed the limits you may need to make some changes to the financial aspect of your retirement plan. Please join us for an upcoming FREE seminar. 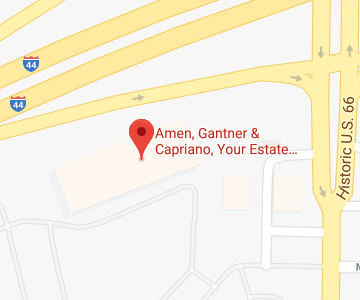 If you have additional questions or concerns about Medicaid planning, contact the experienced Affton Medicaid planning attorneys at Amen, Gantner & Capriano, Your Estate Matters, LLC by calling (314) 966-8077 to schedule an appointment.